Medallia's feedback management products are built on technology that's designed to capture users' attention, make solutions clear and motivate employees to act. Medallia does a great job at providing great tools to analyze not just numbers from customer feedback but has great text analytics. Any place of business that takes customer feedback serious needs to adopt this software. It's great that we can respond directly to our customers. They have been constantly improving their system over the past 5 years of my use. I always look forward to what new tools they come out with. Great system for any company that deals with a high volume of customers from the public that would be willing to give detailed feedback. In the hospitality industry, this is a perfect match. Collecting feedback from customers and using that feedback in a sensible way to identify areas of improvement. I did not like that you need a minimum sample of 20 responses in order to build out a model; for certain customers that you don't have a relationship with or just trying new pursuits there should be a flag so that the scoring is recalibrated for those types of pursuits. "I have had a great experience partnering with the Medallia team. " In my personal experience, I find the Dashboards showing NPS results across our Digital Client Journey are very powerful. I love being able to drill down into specific responses from any of the reporting views. 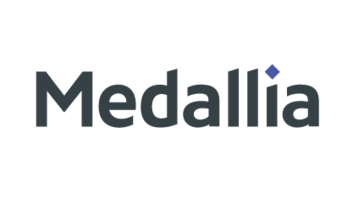 The Medallia team is responsive and offers thoughtful dialogue on how to best solution any of the needs we bring to the table. Some of our initial surveys had limited ability to adjust over time. Based on Medallia's recent acquisitions and development, there is much more customization available for our newer survey programs. My engagement has been to help shepherd the instrumenting of IBM's Digital Client Journey. We have built a strong set of measurement points around our client journeys and are incorporating client survey feedback into our operational management systems, and will use Watson content analysis capabilities to unlock client insights for our teams to action. "Loving attending the Medallia Customer Experience Conference"
I am new to my Client Advocate role within IBM and new to Medallia. I'm already impressed by the ease of navigation within the product, and excited about many of the new UIs and features I've seen here at the conference. Getting access to Medallia within IBM is not easy. This isn't Medallia's fault - but I think we can do a better job of granting access and explaining the different user roles. I'm in Business Analytics and we're determined to use Medallia to monitor and improve our NPS scores, take action to improve our software offerings and ultimately see an uptick in revenue, and happier customers. "Awesome Tool to Capture Customer Feedback"
I've been using Medallia for about 3 years and I love it. My favorite thing about it is it's ability to manage and report information so many different ways. We use it in a hotel, so I can pull reports by group block, by date frame, by sales person, by event manager, by front desk agent who checked them in...it's an incredible way to track and understand performance AND feedback. It can be a bit overhelming - we have several different ways we can filter and search for information and even after 3 years of using it I still have to ask my colleagues at other hotels how to pull different reports. That is just user-error though. Because we ask guest their feedback on a scale of 1-10 as well as to provide fill in a comments section, we can truly understand the guest experience so much better. Since using the feedback we get through Medallia our scores have increased! "Medallia Is The Gold Standard"
The real-time access to all customer feedback in addition to every level of the organization being able to access feedback from every customer. I have had dozens of conversations with companies considering Medallia and I always tell them whoever you are considering, Medallia is the best by far. I have implemented Medallia for three large companies over the past 15 years and I have seen their evolution first-hand and they also are always ahead of the curve and leading-edge in this space. Medallia's tracking of problems and their impact on the business has allowed our teams around the world to focus on continuous improvement. With the addition of Medallia, our company has continued to experience record-high QTR-Over-QTR NPS Ratings. Love how you can do deep analytics on everything from which rooms in the house scored the worst to how well each individual GSR scored at check-in. There's no good way to prevent negative scores from inevitable guest situations like having to charge a guest a smoking fee or ask guests to leave for partying. The best part about medallia is the product and people(medallian). The platform is robust and enhancements are coming out constantly to support our business growth. People at medallia have passion about their products and they are willing to spend their times with you to help you improve your customer experience program. If it is easier to make changes to platform, it will be great. I believe medallia heard from us and I see several programs such as SDK, ask now, etc. are helping us to gain access to information quickly. In the automotive industry, one of the biggest issue is dealership engagement. In he traditional dealership franchise business, it is difficult to engage the staff at the front line and have to care about customers. However, the medallia platform did help us to enhance our dealer engagement in closing the loop when customer experienced an issue at the dealership level. More importantly, the key to success is that they own the customers and they are the best people to resolve issues for our customers. "Easy to understand guest experience"
Clean, simple interface that makes tracking performance easy. Feels natural, like Google Analytics but for the data I need to see about our guest experience. Nothing really - it does everything I need with plenty of bells and whistles but without anything to really dislike. Medallia works great as a solution for tracking GX and making changes to your organization to improve your guest's satisfaction. This software is in the business of problem solving - allowing our guests to comment on their experience, in ways that we can track the NPS and experience scores, and respond to the guest with solutions to their problems. "Good but not very flexible"
You can customize a lot of things for your program, but don’t expect to get a positive response on special needs or developments. There is no self-service option making changes slow and difficult. We are measuring NPS. Great to increase the survey volume and the r capacity and speed of response. I love the simplicity of both the mobile an desktop views. They make it quick and easy to parse NPS and verbatim data fast. I also love the ability to quickly drill into data directly from my main dashboard. Custom views are complex and don't always yield the insights that you're looking for. I'd strongly suggest doing some initial research to see if Medallia is the right fit for your company as there are other options out there that may work better for a smaller company. Looking to discern general sentiment and likelihood to recommend, and overall loyalty to my brand/company. "Easy to access, read and to respond." Medallia is very mobile friendly. I receive real time alerts and the app looks just like a desktop screen. Medallia also works quite well in it's original desktop form. Sorting sampling size, change dates and criteria. You can set the conditions to and breakdown to another level so you know exactly how to drill down better and learn. Color coding makes it a visual learning tool, great for all staff. Nothing, it does everything I need it to. If feedback is important and measuring your customers satisfaction, problems and successes, then Medallia is the best choice. Access in meetings, or when you're away from your desk or office. Being able to get this data at anytime is becoming a necessity in today's business environment. Wish we had more control over the account security structure so we did not have to send in requests for that to be built, but rather could do it ourselves. User friendly, real-time feedback. This product helps us improve service levels within our organization and make the necessary adjustments to better accommodate our guests. The way the app is laid out is not entirely user friendly and can run slow at times. The reporting is also limited and not as easily sort-able as I would like when trying to dial down a specific issue. Great product, used everyday in our business. Perfect for tracking guest loyalty and satisfaction. I work in hospitality and everything we do is based on Service and providing our customers the best experience possible every day. This has allowed us to dial down real problems and find a core root to them to fix. The data visualization tools are really slick and easy to understand. In addition, it's much easier to identify CX issues. Inability to personalize reporting to meet our specific needs. This is primarily due to use cases used when developing a specific feature and us learning that we can't modify certain things. Our first hurdle was capturing additional customer feedback. We are now capturing 1/3 customers' feedback. The second and third hurdles are ensuring closed loop feedback with the customers and operationalizing the insights gleaned from Medallia, which will take more time. Brand guidelines mean we can't use Medallia for online review tracking for some properties. There are many solutions available with Medallia and they can customize dashboards and reporting a based on the needs of your individual business. Four of my hotels use Medallia and the platform is slightly different for each one. Improving overall hotel operation. Some properties have weekly meetings to review results and surveys and implement immediate changes. Have seen increases in maintenance and housekeeping scores and improved job knowledge from staff. "Great tool to track customer satisfaction dynamically"
The dashboard giving insights of NPS scores across product portfolio and trends is amazing. The User internface is bit confusion, just in the begining but once you start using it, you get a hang of it. We use medallia to capture NPS scores for multiple software product offerings within a portfolio. The ability to monitor retention of customers is nice. "Tool is great at collecting and presenting customer feedback, however modifications are expensive"
"Honest feedback from a previous customer"
Not keeping their promises, promised is everything, but we're not able to deliver as promised. We felt that Medallia were more focused on $ after we signed the agreement with them than keeping their promises ! Make sure to check out other vendors and several references onsite! I like that they have a mobile app and that it pushes alerts to my phone every time a guest submits a review. I dislike that the mobile app logs me out so frequently. It has happened so many times that I have memorized my access code from typing it in so much. Some text analytics report positive issues as negative ones. We are starting to realize that the guests like the bedrooms more than the bathrooms. It has helped identify our best and worst rooms. We are able to see recurring issues and get feedback from guests. We can also pin point which associates are having great interactions with guests and who may need more training. "Medallia best practices are amazing!!" Best practices sharing is great and more than I expected from when we bought Medallia. Medallia should help customers with more direction and concrete advice on the topics of hierarchy and user files, survey triggers, and sampling methodology. It's helping my company engage and align toward a common goal, particularly at the top where policies and processes are set. I like that Medallia is easy to navigate and provides information in a variety of ways. I need to change my settings each time I need information. It is a great product. We've been using Medallia for several years. We look at our scores to improve our guest service. It lets us know how we are doing monthly, quarterly, and yearly as well. As a software-as-a-service platform I value the integration of quantitate and qualitative feedback to enable practical conclusions and interpretable insight. Text analytic solution has enabled me to accurately organise unstructured feedback to bring the voice of our customers to the forefront for our leadership team. The platform is reliable and responsive which is a huge benefit when working with large data sets. Platform is relatively rigid, developments have been a little infrequent. Survey management of NPS programme. Ability to meaningfully segment and review comparatives between results. Enable interpretable and actionable insight for non experts. "Medallia is a powerful tool but behind in self service"
I like that they bend over backwards to make sure you have everything you need in a timely fashion. I wish they had some self service tools - they are releasing some SS tools now, but I think they are behind the game in this arena. Medallia is by far the easiest solution to train your company to use. It's very intuitive and a breeze to use. Our biggest problem is that all the CX data sits on a excel file on my desktop. No one has easy access to the data, or doesn't even know it exists! "Medallia Platform Accelerates our Transformation"
Systematic approach to operationalizing client feedback into decision making and giving visibility to pervasive issues. Enables us to look globally at things working well and not so well in the customer experience. Very adaptable to the various data needs we have. Expertise is fabulous and the Medallians care about my success. Has not met all our needs but working with us to help develop answers where we have gaps. The visibility to the statistically significant issues are helping us to reprioritize our backlog and go after what matters most to our customers. "Great product - easy to learn and impactful"
Dashboards. These are a great way to quickly understand your data. The back-end is still confusing and difficult to learn quickly. Go for it! This is an implementation that can make a huge impact in your business. NPS is hot right now, and understanding it across all levels can only help you succeed. Gives a scalable way for customers to see survey results and understand how each part of a business transaction impacts the company, big or small or positive or negative. There is nothing I do not like and nothing needs to be changed. Customer service issues. If someone is upset and leave a comment and reason I reach out tonthem to help resolve the issue. Being able to access it anywhere, anytime. A great tool to receive guest feedback and then utilize it to improve our service and product to ensure future guest satisfaction. More explanation/training on running specific reports would be helpful. Reducing the number of unsatisfied guests. Seeing a higher overall satisfaction rating from guests. I like that the product is easy to use and can be done on desktop or mobile app. communication with the team is sometimes slow. It is a great product and easy to use and access the system. many different problems and benefits of using the product. "Medallia for easy access to business reviews"
I like that medallia makes it easy to see reviews from different websites in one place. I wish that Medallion provided a little bit more information about the reviewer. Medallia allows me to check all of my reviews quickly and efficiently. "Medallia has been a fantastic tool for finding areas in our operation that we can improve upon." The text analytic tool and the ability to breakdown scores. Our customer service has improved greatly due to the ability to go back and see what our guest are saying about us after they check out. "Medallia at the center of Transformation"
The ease of use of the platform and the built in workflow make the Medallia application the premier client feedback tool. Not sure I can think of anything I don't like. Addressing a client centric focus across the entire organization, not just in Sales. I really appreciate the efforts of Medallia Team. There is no problem. Data collection, tracking for analysis and commission. We use Medallia to aggregate customer feedback surveys and look at that data. It is easy to see different variables. It would be nice to be able to see how many surveys go unanswered versus how many we actually get. It helps us respond directly to customer complaints and see how we are doing overall in customer satisfaction. The amazing analytics behind every thing. The lack of seperation between stores. If you are looking for awesome analytics with a great GUI they are your team! "Great platform, more structure needed during implementation"
Platform capabilities are wonderful and very user friendly. Lots of flexibility for dashboard design. "Great platform to begin your client experience journey"
I like how easy the tool itself is to use. I truly enjoy the team that has helped us along the way to enable our success as well. I also am excited for the enablement Medallia provides us to incorporate client experience further into our culture. I would love to have a way to enable 'outer loop' activities / tracking / ownership within Medallia. One consistent platform to hear and respond to clients. Our partners at Medallia work tirelessly to aid our team with improving our CX program. Their ability to listen to our problems and help innovate new solutions alone is worth the investment. This ability complements the state-of-the-art software package Medallia provides for our organization. We have experienced some reporting limitations in the past, but I know Medallia is committed to improving this service. Using service scores to improve behaviors across all levels. "Think outside the box "
"Invaluable for my work, but needs additional features"
The real-time nature of the data is invaluable. Many of even the simplest analyses I do using Medallia require exporting the data. I understand that Medallia is working on rolling out a new insights suite and text analytics, but it can be frustrating that I have to export data to do simple comparisons. I also wish there were more exportable graphs/visualizations. Having real-time client experience data has been invaluable to improving my company. "Good software providing essential information "
The interface was very easy to use and had a good navigation panel that allowed for easy selection. Some of the names that Medallia names are confusing, and the NPS score is calculated differently. It helps you to identify the customer satisfaction and the comments really help to pin point the specific customer and the problem them encountered. Our back end is convoluted, so medallia has to work overtime to the it all together. I can't share a screenshot of customer info. Too invasive. "Excellent apps, service and support "
The Medallia team continues to innovate and build more user friendly services and apps in service of building better customer experience. More of an opportunity to develop more accessible ways for frontline (non-office) retail employees to access and act on feedback. Real time actionable insights are able to be gathered, shared and acted on in an efficient manner that allows recognition of great performance and coaching or recovery of issues. Yes, we utilize it almost every day. * We monitor all Medallia reviews to prevent fraudulent reviews and keep review quality high. We do not post reviews by company employees or direct competitors. Validated reviews require the user to submit a screenshot of the product containing their user ID, in order to verify a user is an actual user of the product. Hi there! Are you looking to implement a solution like Medallia?